Aplication: Rock, pop, brass, raut, village rock. The model is designed for lighter genres and more for technical playing. 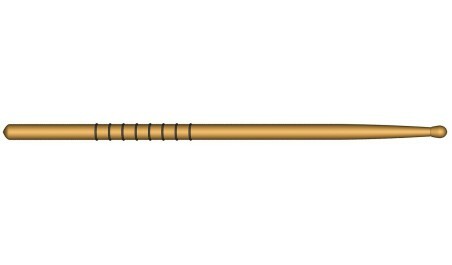 The front of the sticks was considerably lightened and designed so that the mallet had a good bounce, length was shortened. This type widely used in amateur bands, drummers and brass, playing for village dances.